Asus VivoBook Notebook S510UN-BQ127T การก้าวล้ำไปข้างหน้าหมายถึงต้องไม่มีขอบเขต ด้วยการออกแบบให้มีรูปร่างเบาบางที่สุด ใช้วัสดุโลหะที่ทันสมัย ขอบหน้าจอที่บาง และประสิทธิภาพการทำงานที่ทรงพลัง สิ่งที่คุณต้องการเพื่อให้ก้าวล้ำไปข้างหน้าอย่างเหนือความคาดหมายอยู่ที่นี่แล้ว. VivoBook ขนาดกะทัดรัดมีหน้าจอแบบ NanoEdge ที่กว้าง ให้คุณดื่มด่ำจุใจกับภาพได้ทันทีและสามารถพกพาไปได้ทุกที่ตั้งแต่งานนำเสนอในห้องประชุมไปจนถึงงานปาร์ตี้ที่บ้าน. The ASUS VivoBook S15 gives you the perfect combination of beauty and performance. 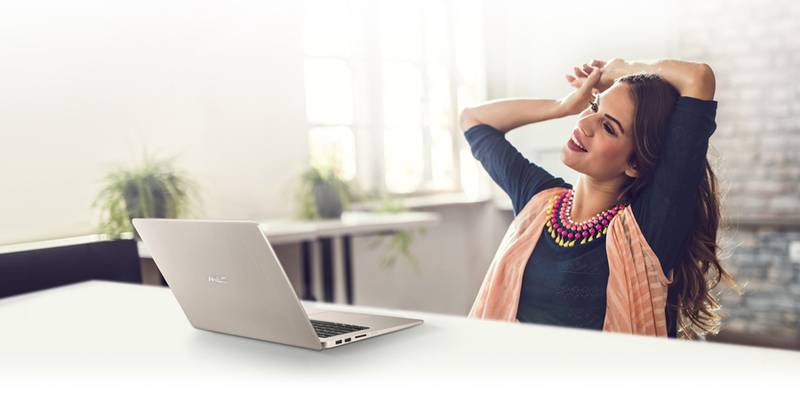 With it slim NanoEdge bezel, brushed-metal finish, the latest Intel® Core™ i5 processor with 4GB RAM, and NVIDIA® GeForce® MX150 graphics*, VivoBook S15 is designed for today fast-paced urban lifestyle. 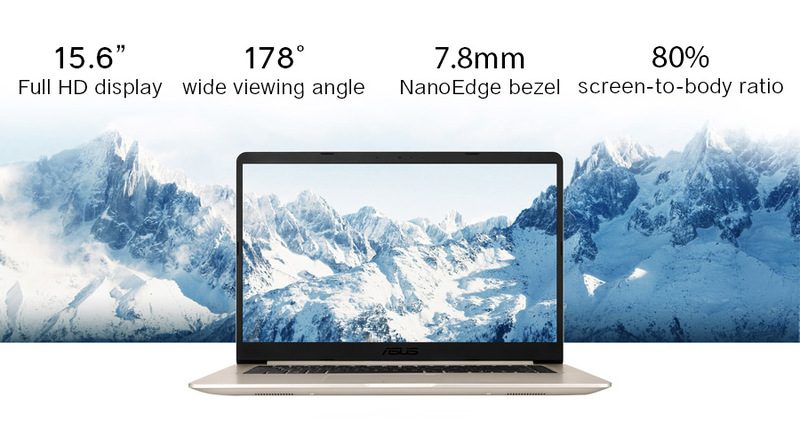 The ASUS VivoBook S15 is thinner and lighter than ever: it weighs just 1.5kg* and has an amazingly thin 17.9mm profile. 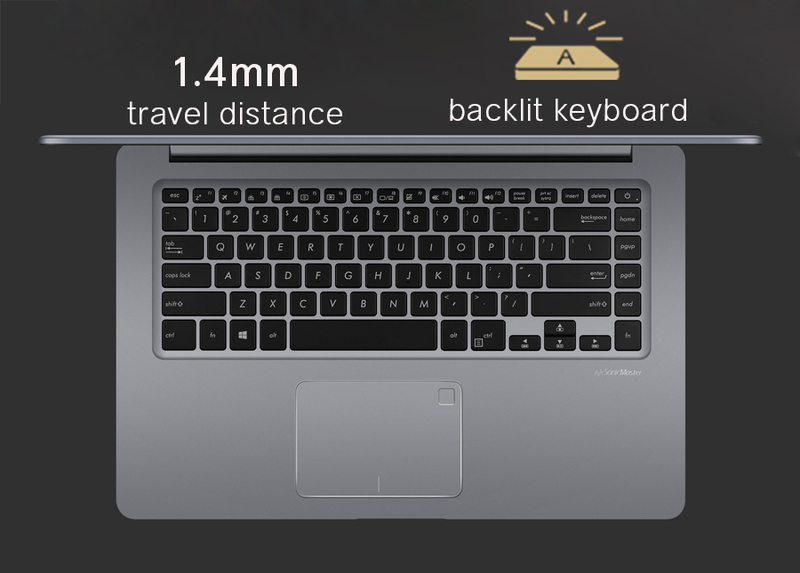 It is an everyday laptop with the weight and compactness of an ultrabook. 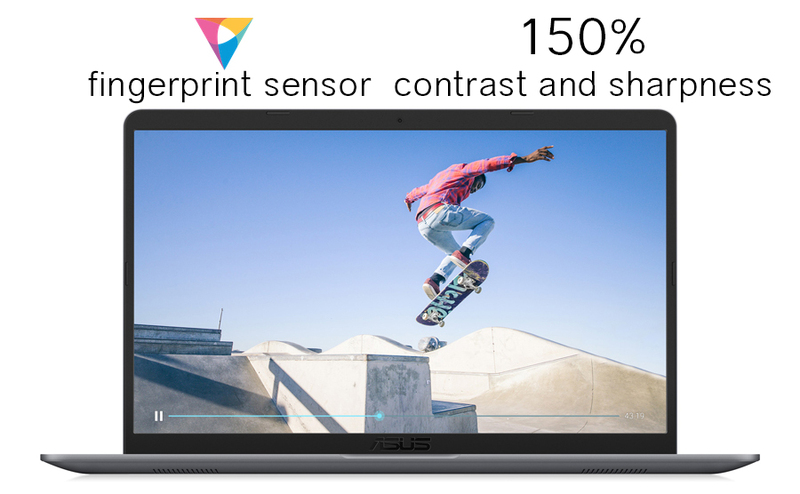 The ASUS VivoBook S15 fits the panel of a 15.6” Full HD display into a typical 14-inch laptop frame. This is possible due to the ultra-narrow 7.8mm NanoEdge bezel that gives it an incredible 80% screen-to-body ratio. The display also includes 178° wide-view technology to ensure that colors and contrast remain vivid and bold, even when viewed at sharp angles. It is the perfect solution for sharing content with friends and colleagues. 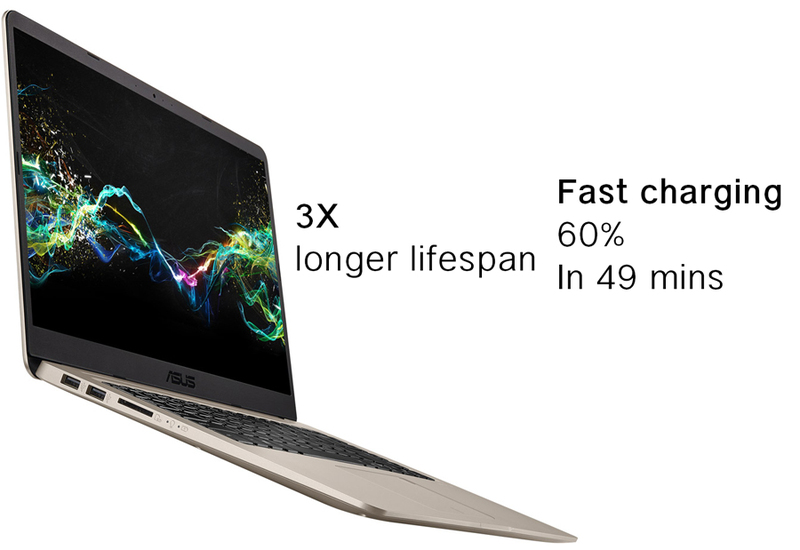 Exceptional performance has always been the hallmark of the ASUS VivoBook S15. 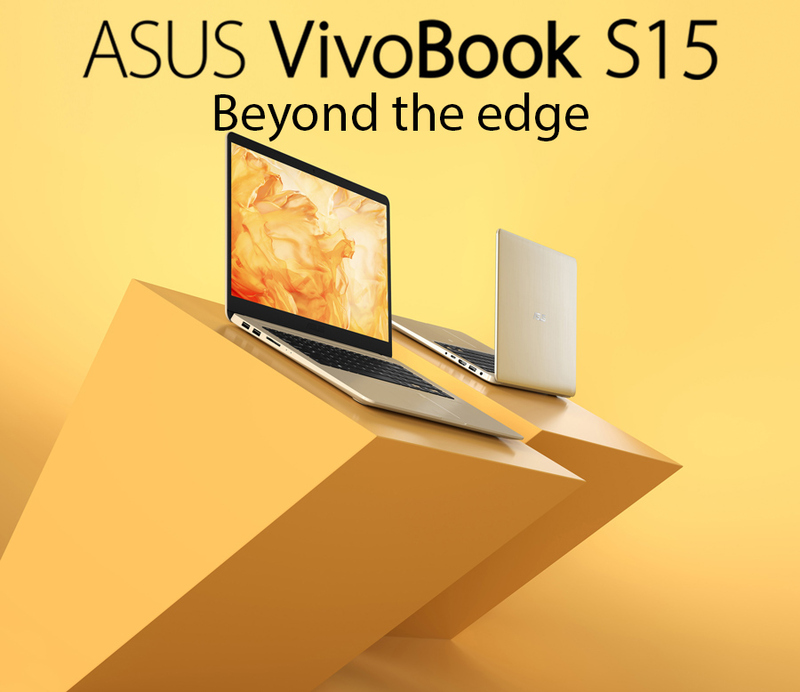 Powered by up to the latest Intel® Core™ i5 processor, with up to 16GB DDR4 2133MHz RAM* and NVIDIA® GeForce® MX150 graphics*, VivoBook S15 delivers ultra-smooth visuals and great gaming experiences. And with ultra-fast dual-band 802.11ac Wi-Fi, you can enjoy speeds of up to 867Mbps - that is up to 6x faster than 802.11n! It is everything you need for versatility and performance. 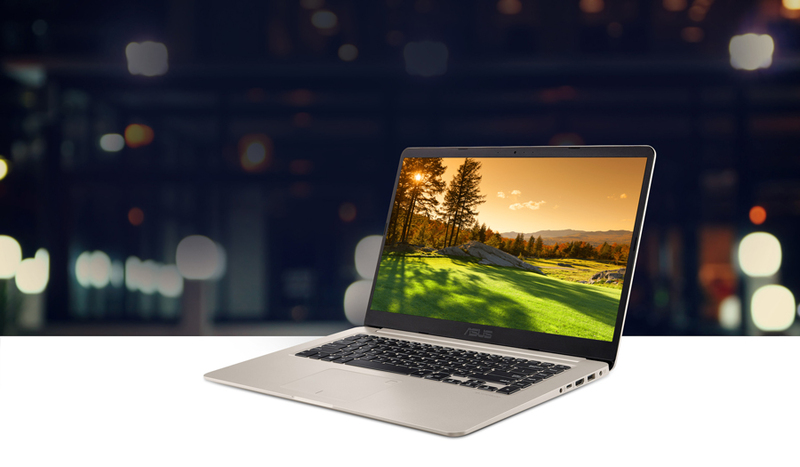 Accessing your ASUS VivoBook S15 has never been easier or more secure. With the built-in fingerprint sensor in the touchpad and Windows Hello, there’s no need to type in your password every time to log in - just a single touch is all it takes! Pixel-perfect video - every source, every time! Laptop cooling is important as it directly affects your computing experience. ASUS IceCool Technology uses smart fan control, thin heat pipes and a clever internal layout to create an efficient cooling system that keeps the average palm rest temperature below 35°C - lower than body temperature - to provide you with ultimate computing performance and a comfortable user experience.